As founder of Oakton-Vienna Veterinary Hospital, I grew up in Washington, D.C. My love of animals began when at the age of eight, I found a baby raccoon. I love being at OVVH, because I can care for animals in an enjoyable, warm atmosphere, and my clients are my extended family. In addition to my veterinary education, I have been trained as a cognitive therapist, a skill that assists me in my interest in the human-animal bond and the relationship of companion animals to our emotional and physical health. The Oprah Winfrey Show featured my work with the human-animal bond in 2001. This work plays a big part in my everyday role working with clients' caring for their pets, but also caring for clients' needs in times of distress. I love the connections I have created and feel very lucky to be at OVVH. In my spare time, I enjoy a variety of outside activities, including kayaking, biking and hiking. I also work out at the gym and take weekly yoga classes. I spent most of my childhood in South Carolina and graduated from Clemson University with a BS in Microbiology. After graduation, I worked at The Johns Hopkins University School of Medicine as a lab technologist dealing with organ transplants, paternity tests and research studies. 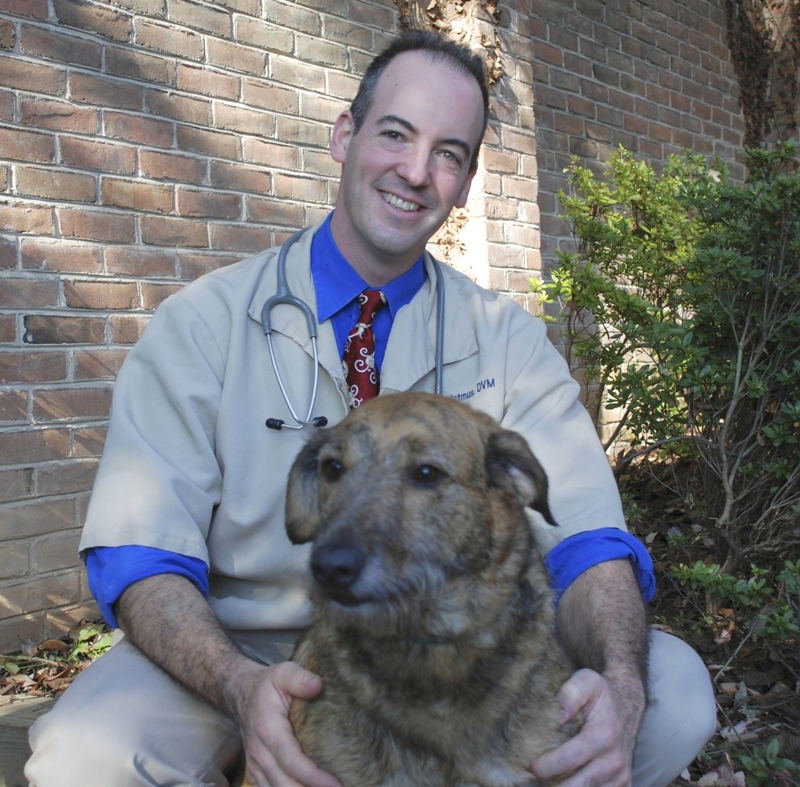 I graduated from the Virginia-Maryland Regional College of Veterinary Medicine at Virginia Tech in 1995 and was inducted into the Phi Zeta Veterinary Honor Society while at school. The Vienna/Fairfax area has been my home since graduation from veterinary school. I am past vice-president of The Shiloh Project, a nonprofit group dedicated to helping at-risk youth learn compassion and responsibility by allowing them to socialize and train rescued homeless dogs. 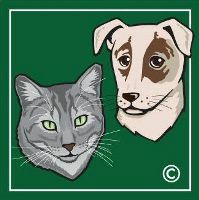 I also worked a great deal with Greyhound Rescue, Inc., both pre-and post-adoption. I have a special interest in ultrasonography and have performed more than a thousand sonograms on dogs and cats. My wife and three cats take care of me when I'm not at work! I am a native of Maryland, but left to attend the Ohio State University School of Veterinary Medicine, graduating in 1993. My first job took me to California, where I worked in a mixed animal practice, treating ostriches, wolves, cows, pigs, and everything in between! Although the variety was stimulating, it had the downside of being physically risky. Seeking safer work, I moved to the San Francisco area to work for a corporate-owned small-animal practice. Tired of missing my family, I decided to move back to the East Coast and transferred to a hospital in northern Virginia. My personal interests include reading, gardening, hiking, traveling, jewelry making and fused glass. I was born and raised in Indiana. I attended Purdue University and received my Bachelor of Science degree in Biology and my Doctor of Veterinary Medicine degree there. Shortly after graduation, I moved to the northern Virginia area and have been living and practicing in the area since then. Recently I completed the Canine Physical Rehabilitation course work through the University of Tennessee Veterinary School. I enjoy helping patients recover after orthopedic surgery and treating other orthopedic conditions as well neurological problems. I share my life with my husband, son, a crazy cat and a golden retriever. In my spare time I enjoy reading, cooking, bird-watching, hiking and learning to knit. I received an MBA in Finance from the University of Pittsburgh in 1986. After 10 years in the financial services industry, I returned to my first love, veterinary medicine. 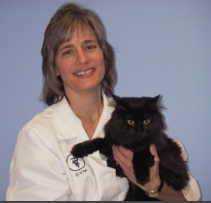 I received my Doctor of Veterinary Medicine degree from the Virginia-Maryland Regional College of Veterinary Medicine in 2000 and have since been working in private practice and in the public sector. 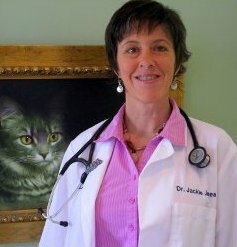 I am interested in companion-animal internal medicine and enjoy promoting the health and happiness of pets and their owners. In my spare time, I enjoy renovating my house and making stained-glass artwork. I am owned by two silly cats and one very sweet dog.